River Hill Township. September, 1967. Donald Webber murders his parents, decapitating them and storing their bodies in the basement. His reason: The Devil made him do it. He'd been obsessively using a Ouija board to talk to spirits for weeks. Dubbed “The Spirit-Board Murders”, Donald was tried, convicted, and finally executed for his crimes in 1981. Twenty years after the murders, local TV personality Frank Stewart broadcasts live from the Webber House on Halloween night, 1987. Accompanied by a priest, a team of paranormal researchers, and a cat named Shadow, Stewart hosts an on-air séance, all brought to you live as-it-happens on local station WNUF28. In addition to all of the usual pitfalls of live TV (idiotic interview subjects, some looney yelling his head off, technical difficulties), the WNUF Halloween Special has much more serious problems. 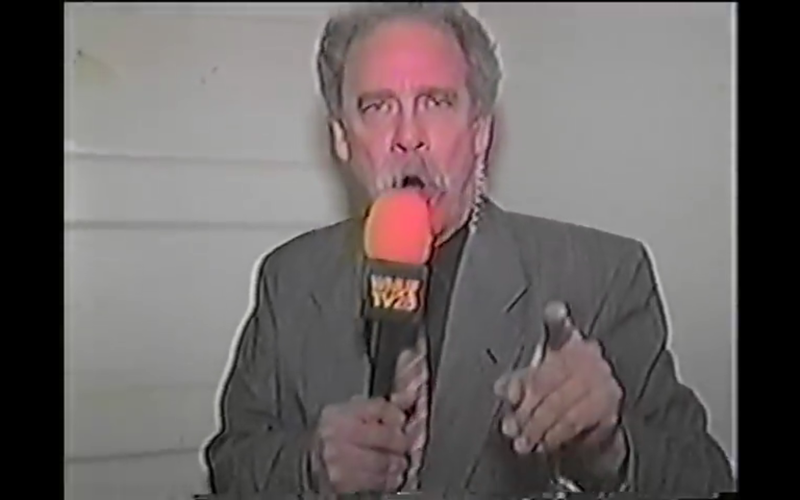 Frank Stewart, a Geraldo Rivera-type blowhard, quickly loses control of the broadcast as things begin to go horribly wrong. Desperately trying to rein in the rapidly disintegrating production, Stewart was ill-equipped to handle an event that grew into something nobody expected. 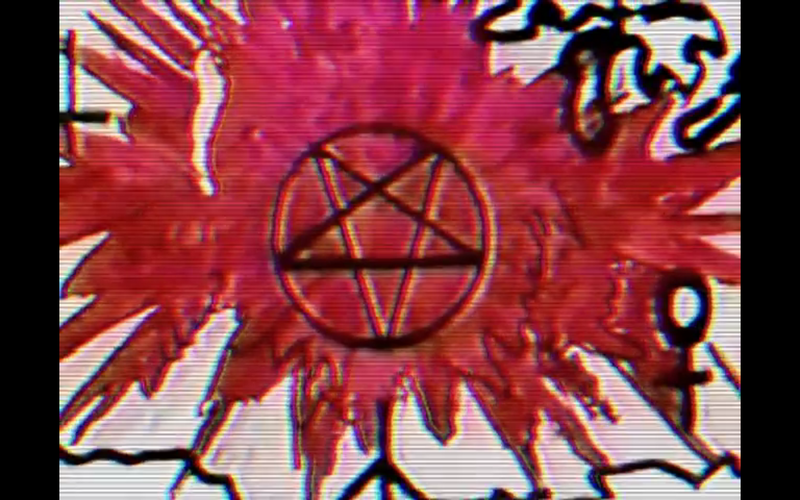 What was intended to be a spooky but harmless ratings-grab morphed into a circus of terror. By the time the night was over, no one who had seen it could quite believe what they had witnessed. ...At least, that's what we think we're watching. 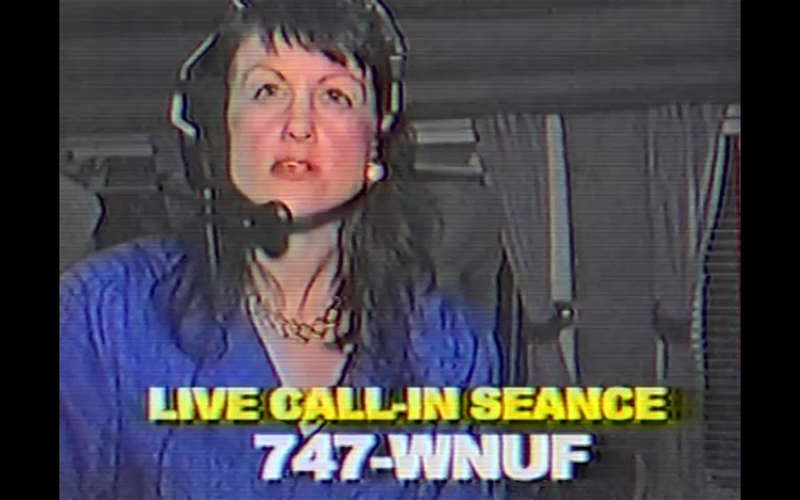 Chris LaMartina's 2013 film WNUF Halloween Special was designed to look and feel like a local television broadcast from the 1980's, complete with newscast, PSA's, small- business commercials, and a conceited, condescending host who thinks he's better than the dreck he's serving up on the tube for the yokels. Originally distributed whisper-campaign style, LaMartina and Co. left copies at a Pennsylvania VHS convention, tossed copies out the window of a moving car in Baltimore, guerrilla marketing tactics to help spread word-of-mouth about the mysterious tape. 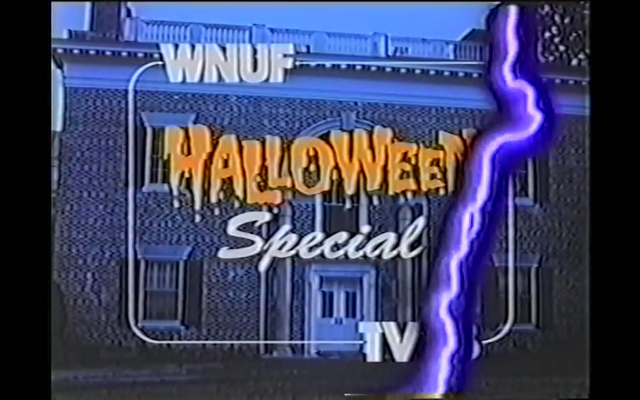 Eventually picked up for distribution by Alternative Cinema, WNUF Halloween Special was first commercially released as a limited edition of 300 VHS cassettes, each in a blank black box with the title handwritten on the label (some on the face of the cassette between the reels, others on a long label down the side, no two exactly alike). Devoid of credits, filmed on tape stock and cameras appropriate to the era, it's all done in a spirit of convincing the viewer that what they are watching is 100% genuine 1980's television. There are, however, some serious giveaways that what we are watching is not the real McCoy. For one thing, it's not clear where this is all taking place. Since the call letter of the station begins with “W” and not a “K”, we can be sure this is the Eastern half of the United States, but that's as close as we get to an actual location. There is no “River Hill Township” in any state, and even the news coverage of the governor's race (in the news broadcast preceding the Special itself) is careful to say only “our state”. The phone numbers in the commercials do not have area codes. It's kept vague to help bring home the sense that this could have happened in anyone's hometown, while at the same time allowing the lack of information to contribute to the unease you feel watching the events unfold. Some viewers have commented that the commercials are a bit much, taking up a good chunk of the running time, but they are missing the point. They are necessary to create the atmosphere of local, low-budget, late night television that people who remember the 1980s will instantly recognize. And anytime you start rolling your eyes, thinking “how long will this go on?”, the phantom bootlegger who made the copy fast-forwards the tape, moving us swiftly on to the next news broadcast or commercial, never letting you get too comfortable. Anything can happen here. But don't do your own FFing, there are bits of important information contained in the newscast, the commercials, everywhere. A lot of thought went into this, and it shows, especially on repeat viewings. It holds up even better the second time through, small details that slipped past the first time becoming clearer and more significant each time you see it. It should also be made known that this is not a wall-to-wall terror piece. WNUF Halloween Special is a slow-burn film that saves almost all of its horror for the final half-hour. Again, this only serves to drive home the realism and believability of the film. After watching for a few minutes, you're in. The facade holds up, supporting the illusion that we are watching a genuine doomed broadcast from 1987. Anyone looking for a more detailed synopsis of the events of the film will not find them here. Divulging any of the events that occur in the video would do a disservice to anyone who has yet to view it, and the experience of WNUF Halloween Special is best when served up as cold as possible, with the viewer uneasy and unknowing of what will transpire. When showing it to people for the first time, it's best if you don't tell them anything and see how long it takes them to figure out the truth. Better yet, invite a bunch of people over, get 'em liquored up, and throw it on without telling your guests what it is. That's my kind of party. 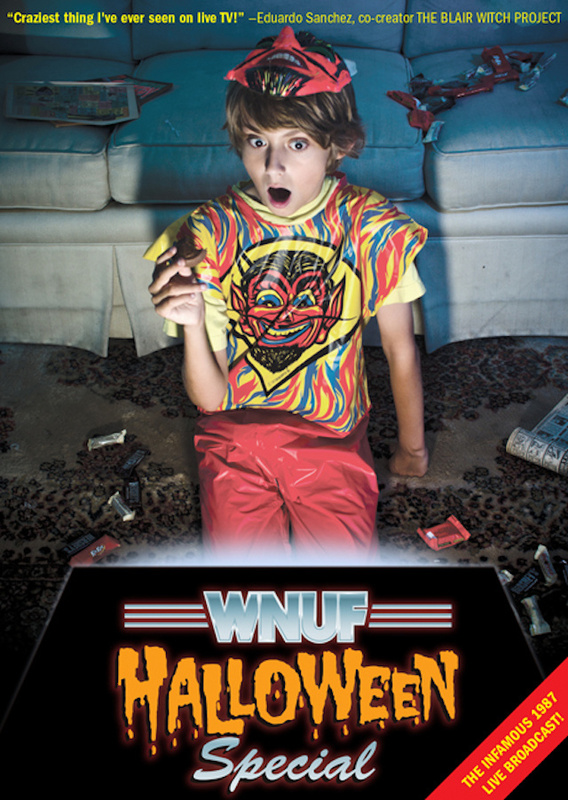 WNUF Halloween Special is available on DVD exclusively from AlternativeCinema.com and their mail-order catalogue. The limited run of 300 VHS cassettes has long since sold out (but anyone who truly digs the spirit of the film knows what to do about that). The VHS format is really the best way to see the film, gives it that authentic 1987 feeling, but the DVD contains special features that provide some insight into the making of the film (audio commentary, featurette, and a few other bonus items) that make for a decent format trade-off...although as already stated, I've never seen the DVD and cannot vouch that you will get the full “high-gen boot” experience that the VHS provides. Either way, WNUF Halloween Special is definitely special, and takes the idea of “found footage” to a whole new level. Well worth seeking out. Bradley Zybert lives in California, but don't hold it against him. He's watching all 72 Video Nasties at vcrrebellion.com! Cannibal Reviews Summer contest, enter now!